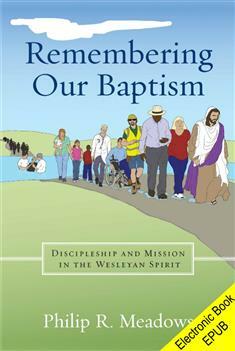 Drawing on the roots of early Methodists, Philip Meadows urges readers to use the act of "remembering their baptism" to connect themselves to their own discipleship and mission. This will result in the daily shaping of their Christian lives by personal and corporate spiritual discipline, which is itself decidedly baptismal in character. When church communities of every size remember their baptism, they hold one another accountable for the life of disciplined discipleship and everyday witness. A great resource for small group study and clergy.